Visit the sunshine and sugar sand beaches of the Florida panhandle with a timeshare resale in Panama City, Florida. 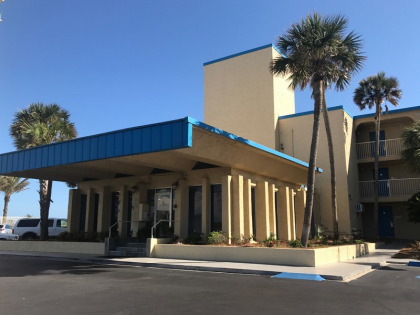 Located on the pristine waters of the Gulf of Mexico, Panama City Resort & Club is the picturesque year-round waterfront retreat for those looking for fun in the sun. Panama City Resort & Club offers spectacular Panama City Beach timeshare resales, providing you with a spacious studio or one-bedroom vacation condo with loads of on-site amenities for your enjoyment paired with top-notch service. Each timeshare resale unit is the ideal waterfront destination, inclusive of a well-equipped full-sized kitchen with separate dining area, cable TV with DVD player, convenient sleeper sofa, and complimentary wireless internet access. With thesePanama City Beach timeshare resales, you enjoy a well-appointed condo unit with full access to the resort’s many amenities. Spend days in the resort’s heated outdoor swimming pool with whirlpool, volleyball court, direct access to the beach, and barbecue picnicking area. Additionally, Panama City Resort & Club boasts a hospitality room, full-service spa, and guest library. Convenient laundry facilities, a business center, and on-site marketplace are also available for use during your stay. Panama City Beach is the premier area destination, offering tons of nearby activities for all ages. With its waterfront location, water sports, fishing, and boating opportunities are aplenty. Looking for an off-the-path experience? Pay a visit to Shell Island, an undeveloped island known for the many shells that wash up on its beaches. Those looking for fun on land will enjoy shopping and entertainment at Pier Park or splashing around in the family-friendly Shipwreck Island water park. With its waterfront location, fresh seafood eateries are also a great bet for a delicious meal in town. Contact Panama City Resort & Club Specialist Today! Very nice & friendly resort . Look out & see blue water from the Gulf, surrounded by beautiful white sand . Russell Fishing Pier and Pier Park shopping mall within walking distance .Selling because we bought a motor home & going traveling with fur babies.